Apex Plastics Co., Ltd. manufactures rigid PVC sheet up to 0.7 mm. thick to supply to packaging makers (vacuum moulding and fold moulding), including non-toxic for food. It is also used for cooling tower filters and waste water treatment panels, covering insulation material for piping in chemical plants, computer floppy disks , etc. PVC pond lining, up to 2.0 mm thick is also being produced for the local market. 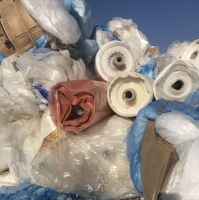 Corrugated, paper, and plastic raw materials and packaging, plastic sheet. Short on time? Let rigid-pvc-sheet sellers contact you. Baoding Lida Plastic Industry Co., Ltd. 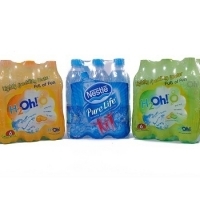 Shrink Films for effective packing and transportation of beverage, with high shrinking ratio, Our printed and plain PE shrink film come in rolls for wrapping, protecting and promoting beverage bottles and drink cans such as juice, water, soft drinks, energy drinks, beer and more. 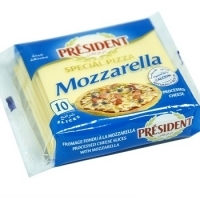 As cheese producers, source high quality Sliced Cheese Films Our films are printed laminated easy to open wrappers for packaging individual cheese slices. Specifications can be customized according to your requirements. Disposable plastic banquet table cover rolls, for indoor and outdoor use by restaurants and catering businesses as well as by end consumers. 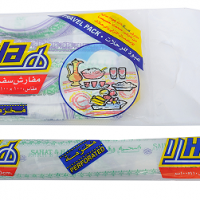 Request online quotation for Table Covers via our website: http://www.food-beverage-packaging.com/products/catering-packaging/catering/disposable-plastic-table-covers Our table covers: Are soft in texture and have high thickness level Come in different sizes, print designs, and colors Are perforated for a smooth and clean cut Are available with or without corrugated core Specifications: Thickness 15 - 40 microns Roll Width 94 - 120 cm Roll Length 85 - 150 cm We also manufacture Paper Bags as well as Trash Bags. 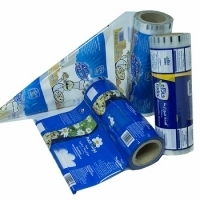 For automatic wrapping purposes, source Machine Stretch Films. 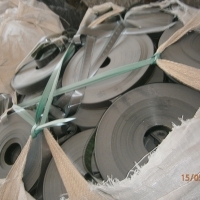 Thickness 15 - 65 microns Width 40 - 75 cm Length 700 - 2200 m Elongation 150 - 350 % Color Black, blue, clear, milky, other Opacity Low , moderate, high You may also source Manual Stretch Film & Pallet Covers Request quote for manual stretch film for effective pallet wrapping. Thickness 15 - 30 microns Width 40 - 50 cm Length 15 - 500 m Elongation 100 - 180% Opacity Low, moderate, high Also available in color. 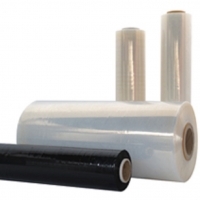 You may be interested in machine stretch film as well. 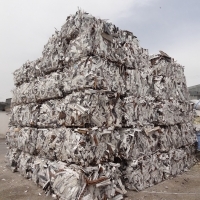 Plastic scrap, reprocessed plastic, recycled pellets, metal scrap, electronic scrap, paper scrap. We can supply: PVC RIGID WINDOW-DOOR PROFILE MIX COLORS (WHITE AND BROWN) CUTTINGS BALES. Post industrial. Can load in 1x40HC container aprox. 25 MT (Â± 10%). Ready for shipment. Photos available upon request. If you are interested kindly contact us for more information (price, available quantity etc.). You are welcome to visit our company premises and supervise our materials. 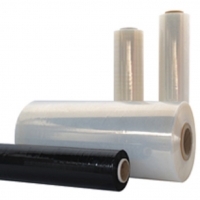 We can supply large quantities of LLDPE Stretch film clear post commercial (contains paper labels, no plastic tapes) on an ongoing basis. You can contact us directly for price offer and additional information. 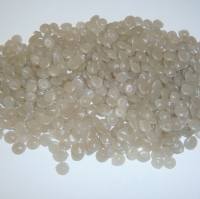 We can supply large quantities of PE clear reprocessed pellets (blow grade, from films) on an ongoing basis. You can contact us directly for price offer and additional information. We can supply approx. 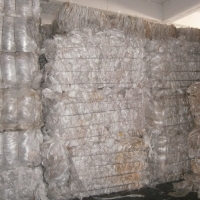 200MT of PE/PA clear film in bales & rolls (approx. 5% colored) on an ongoing basis. You can contact us directly for price offer and additional information. We can supply PET movie films on an ongoing basis. You can contact us directly for price offer and additional information.